What does PSG Life offer? Funeral benefits for yourself, your spouse and four children. Both dread disease and terminal illness cover. Affordable premiums based on the cover required. PSG offers life insurance, critical illness benefit, funeral cover and disability cover. The company aims to make the cover as affordable as possible so that you receive cover when you need it the most. Hollard Life underwrites the policies, and premiums are reviewed once a year. They may increase or decrease, depending on the benefits offered, claims, etc. Premiums are guaranteed to never increase more than 15% in any one year. There is, however, usually a 5% minimum increase in premiums to account for inflationary costs. For those who are turning 34 on their next birthday increases will start at 2.5% per annum. If you are turning 35 to 44 on your next birthday, increases will start at 5% per annum. For those who are turning 45 to 54 on their next birthday, increases will start at 7.5% per annum. If you are turning 55 or older on your next birthday, increases will start at 8.25% per annum. You are also allowed to voluntarily increase your premiums in order to increase the amount of cover. This pays out a lump sum on death. You must be between the ages of 19 and 70 to join. The premiums start at R150 per month and are subject to a minimum of 5% escalation per year. Full accident cover starts after the payment of the first premium. However, should you die in an accident just after you have applied, and before you have paid the first premium, you are covered. The cover is limited to R250 000 or the amount insured – whichever is lower. The primary member and their spouse receive cover of R20 000 each. Children nominated as dependents are insured for R10 000 each. You can add up to four children on one policy. The cover is limited to accidental death in the first year. The primary member can apply for payment of their death benefit upfront if they have been diagnosed with a terminal illness and have less than a year to live. This covers you when you have a critical illness or injury. You have to be between the ages of 18 and 66 to join. The cap on the cover is R4 000 000 with premiums starting at R150 per month. The limit is for the lifetime of the policy – once that limit is reached, no further claims will be paid out. This cover kicks in when you are permanently disabled if it means that you can no longer work or the company classifies it as a core impairment. You must be between the ages of 18 and 57 to join. The cap on the cover is R10 000 000 with premiums starting at R150 per month. PSG has a range of affordable insurance products to so that you are never under-insured again. Add your contact details to the form on this page, then submit the form. 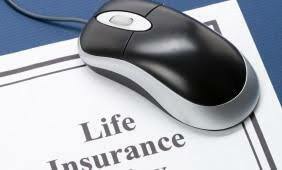 We will contact you with a private life insurance quote.